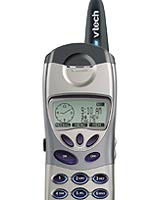 The lifestyle habits of US consumers have informed the design of Quadro Consulting’s cordless phone for Vtech Communications. This ‘feature-rich’ phone has a ‘latest and greatest’ appeal for this target segment, says Quadro managing director Phil Gray. The phone’s relatively large size makes it easy to handle Gray claims. Created for the US domestic market, the phone is available from this week.